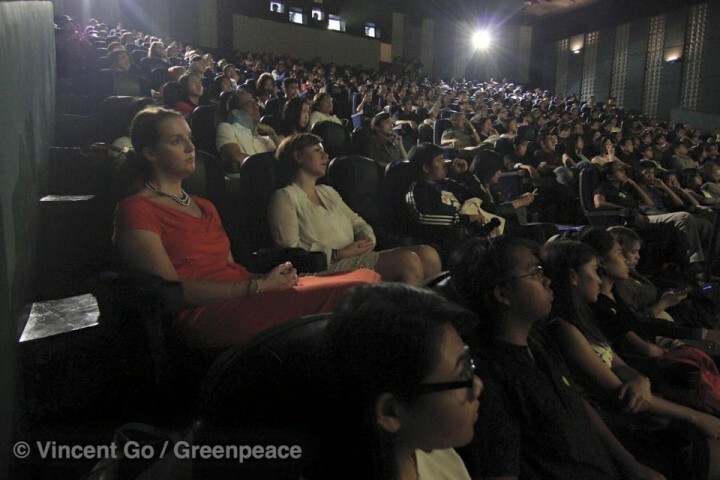 Last weekend, This Changes Everything had its first grassroots community screenings in Manila, Philippines and in 16 cities across Europe. 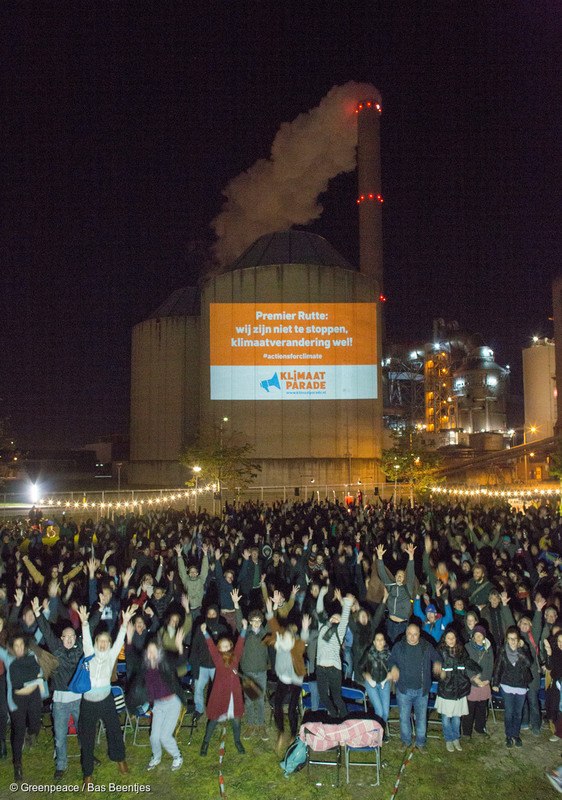 These “movement premieres” were part of a global day of action, designed to kickstart what activists are describing as the road to—and through—the upcoming UN climate conference in Paris. 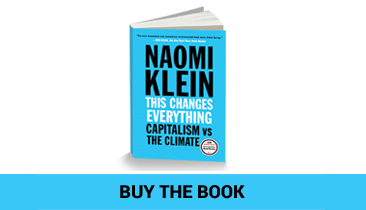 We were thrilled that so many of our partners in the global climate movement were able to use This Changes Everything as an organizing tool, which has been our greatest hope for the project from the very beginning. In Manila, artists, film enthusiasts, and passionate activists were in attendance. The event featured a special tribute to the Philippine Climate Walkers, who bravely traveled on foot from Manila to Tacloban in 2014 to help galvanize climate action. The group, led by former UN negotiator Yeb Saño, will soon be embarking on a 60-day “People’s Pilgrimage” from Rome to Paris, calling on governments attending the climate conference to take action on behalf of vulnerable countries like the Philippines. 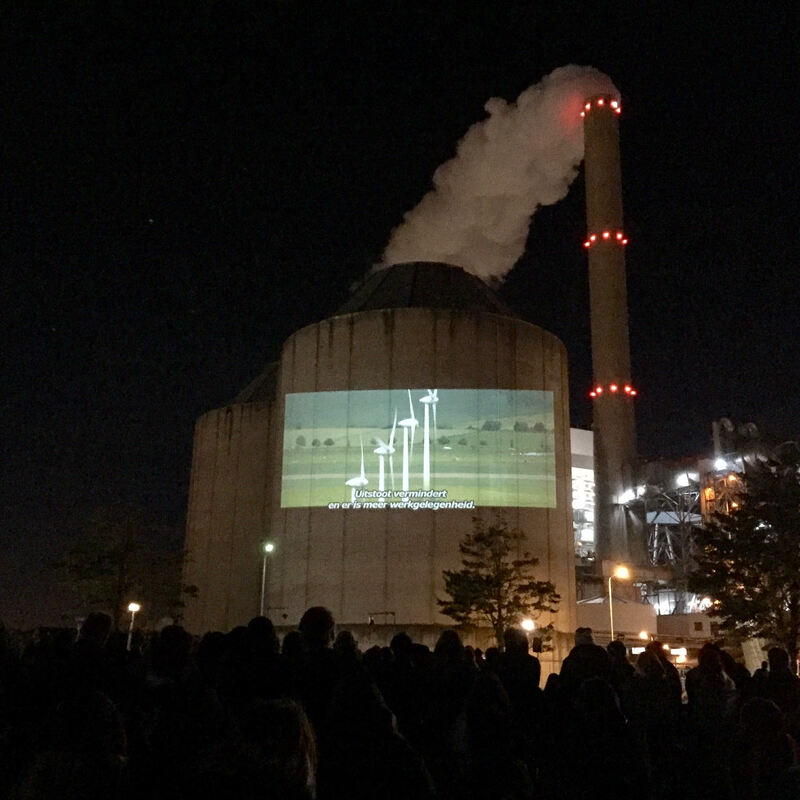 On a cold night in Amsterdam, around 1,000 people donned blankets outside to watch the film projected onto the side of a coal power station. The image of giant wind turbines overtaking the smoking plant was an incredible sight. 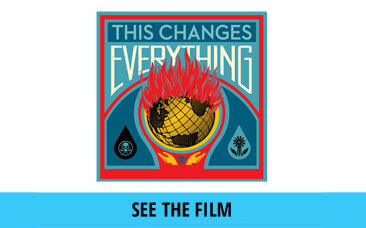 Director Avi Lewis and writer Naomi Klein spent an afternoon in NYC Skyping into a number of events. 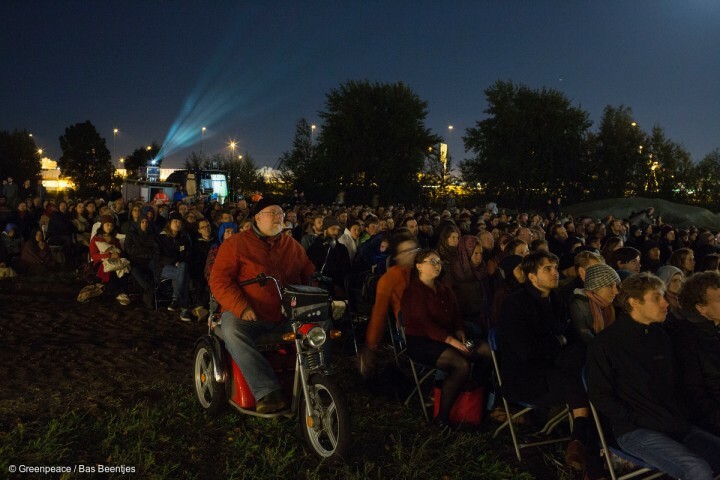 The film also screened in Magali Panagia and Thessoloniki in Greece; Bergen and Oslo in Norway; and in Barcelona, Berlin, Bucharest, Dublin, Edinburgh, Lisbon, London, Madrid, Manchester, and Stockholm. It was a joy for our team to be able to connect with organizers across Europe. We hope this is just the beginning, as the film will be simultaneously released in cinemas around the world (including for more grassroots screenings) and on iTunes beginning on October 20th. Check out our website for a list of current screenings, as well as information on how to organize one in your community.